The Coco Office Chair by Zuo is sure to bring both a stylish and softness to your workspace. 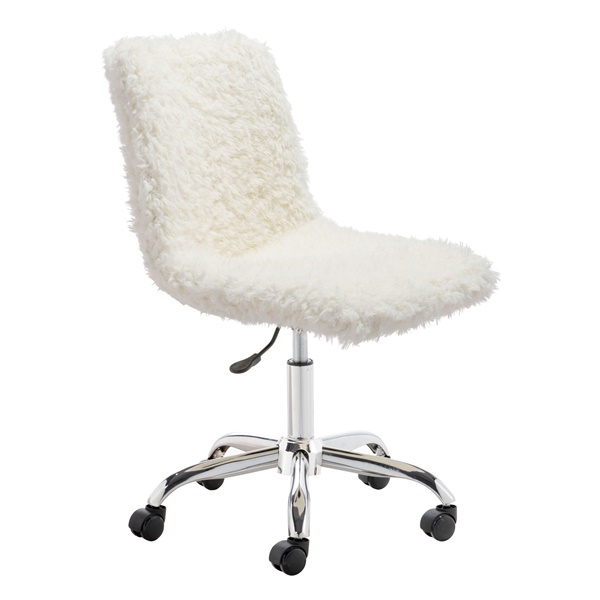 Its convenient swivel and adjustable height are a bonus to its ivory faux fur upholstery. Feel supported and comfortable as you work in style at home or in your office.